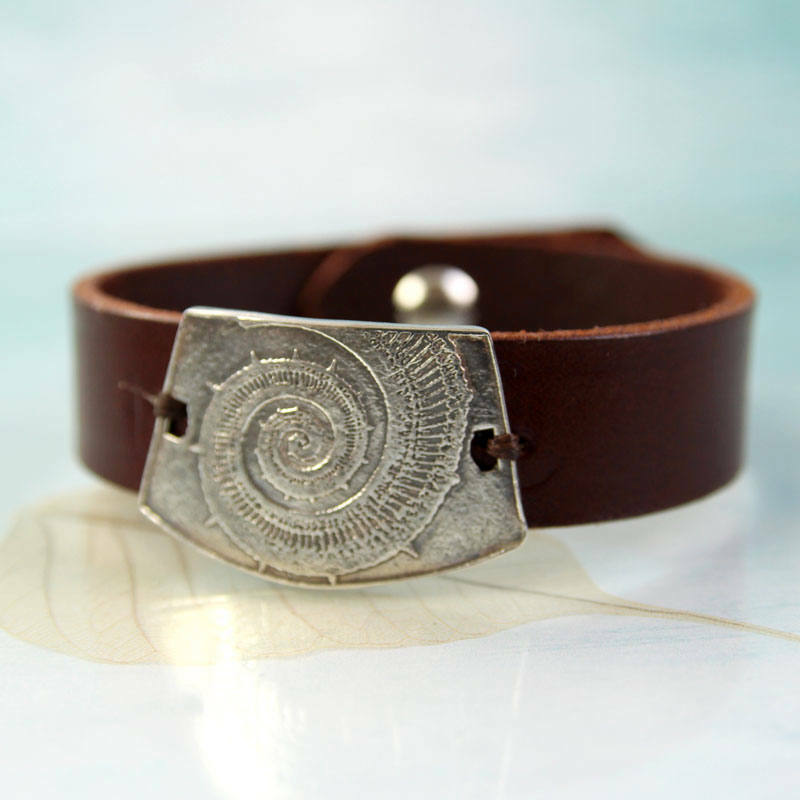 "No mermaid or man would be without a nautilus in her jewellery collection." 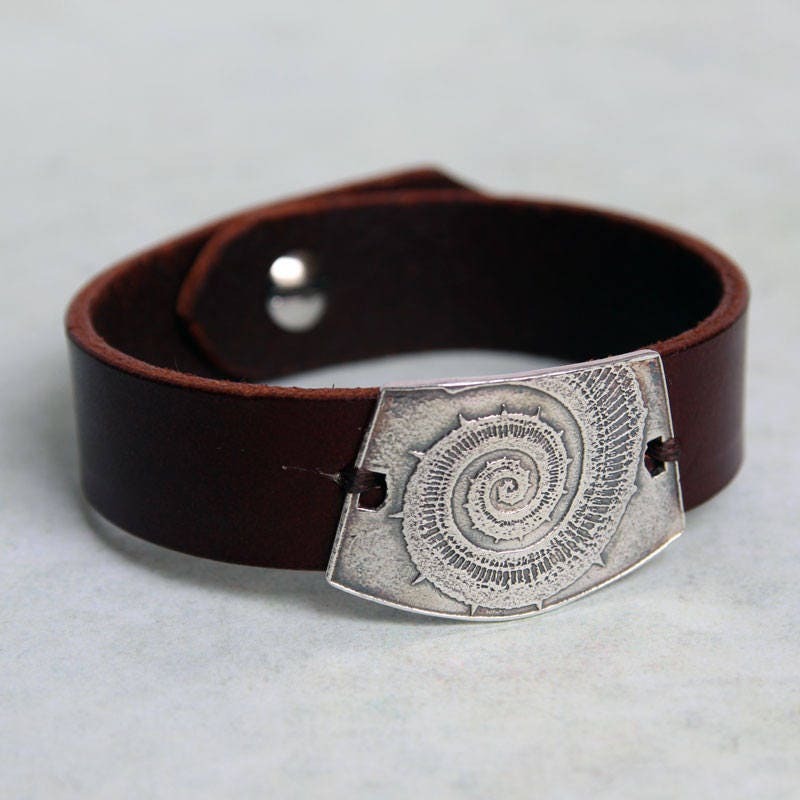 This is a classic leather bracelet with a sterling silver plate attached. 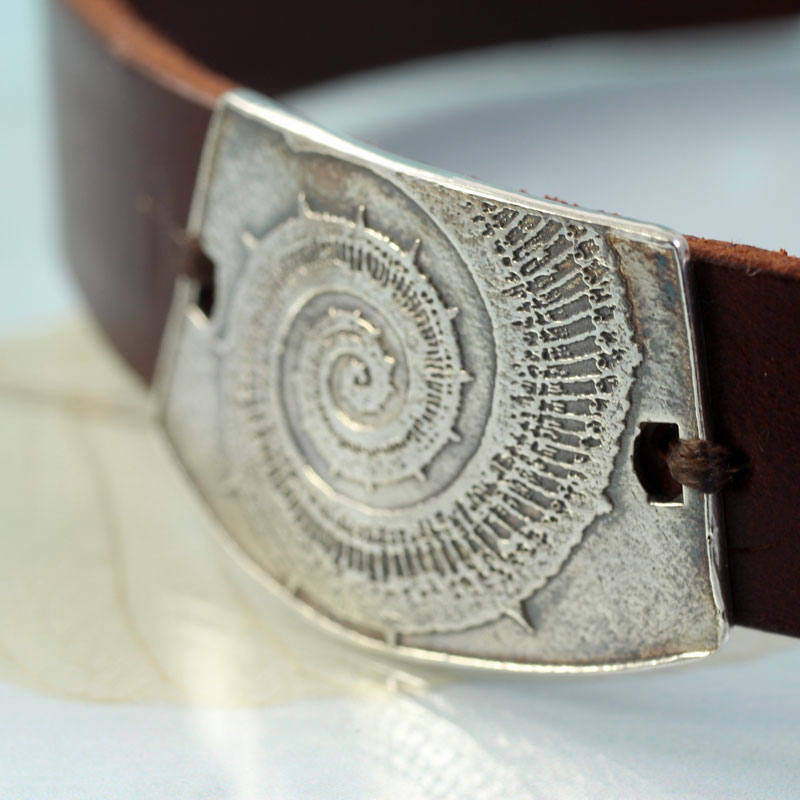 The silver is imprinted with a nautilus pattern - an organic spiral directly from nature. 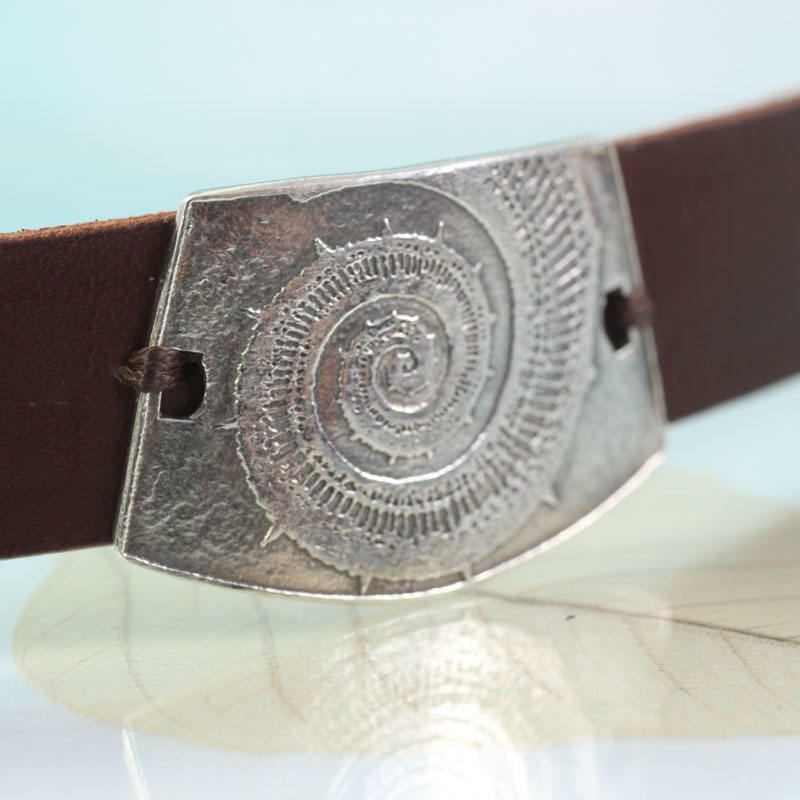 The plaque has been oxidised so that the spiral really stand out and so the silver looks worn, like a relic as old as the fossil depicted. The silver is 1.5 mm thick and measures 22 by 35 mm. 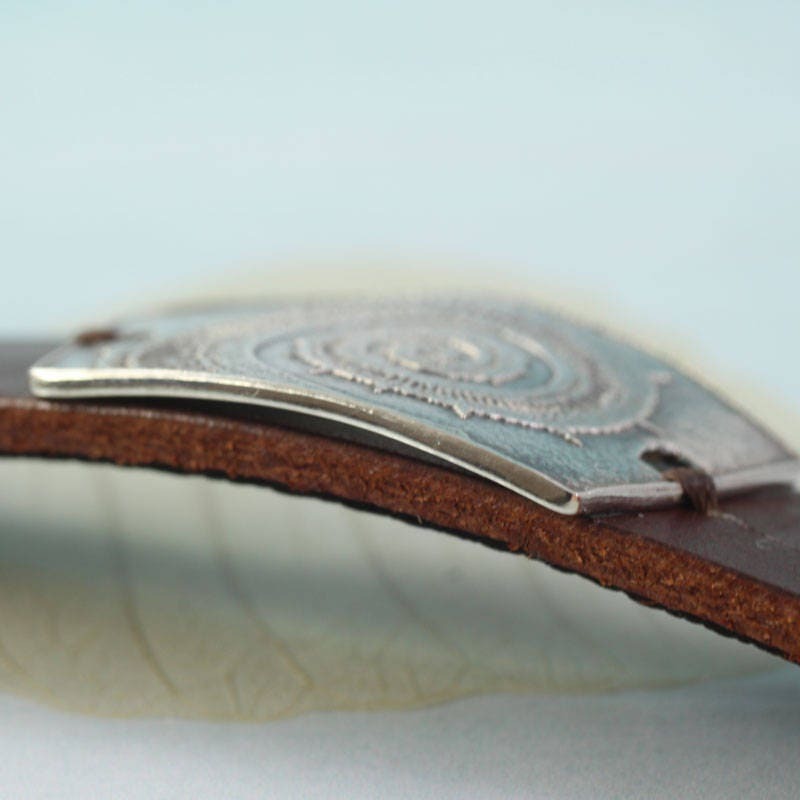 The leather is a solid thickness of about 2 mm. Sturdy but still supple and comfortable around your wrist. 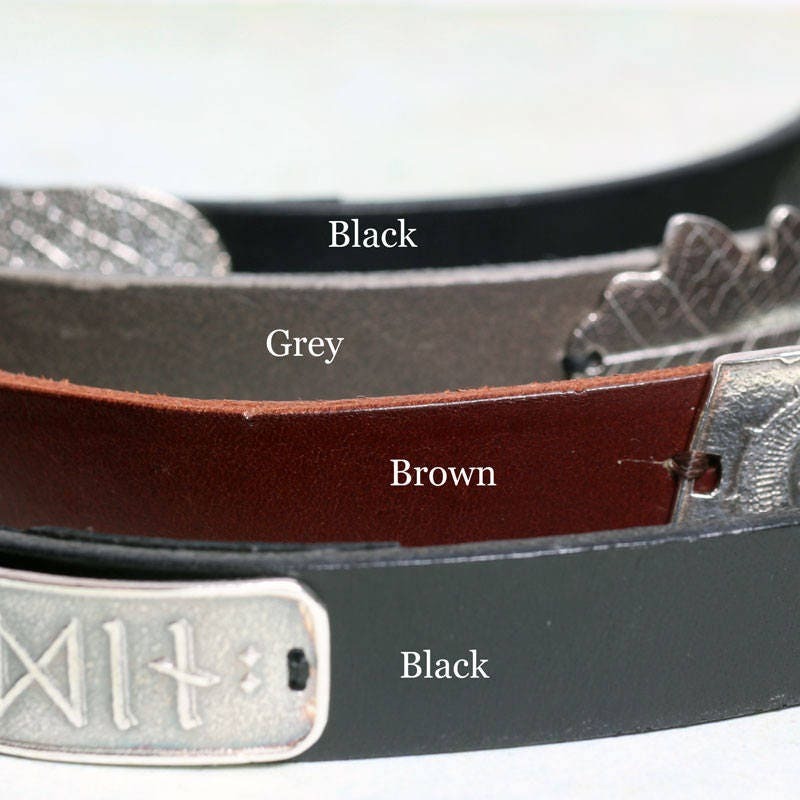 I currently have 3 colours in stock - Black, slate grey and a dark golden brown. There are examples of all 3 in the photos. The closure is a Sam Browne stud. 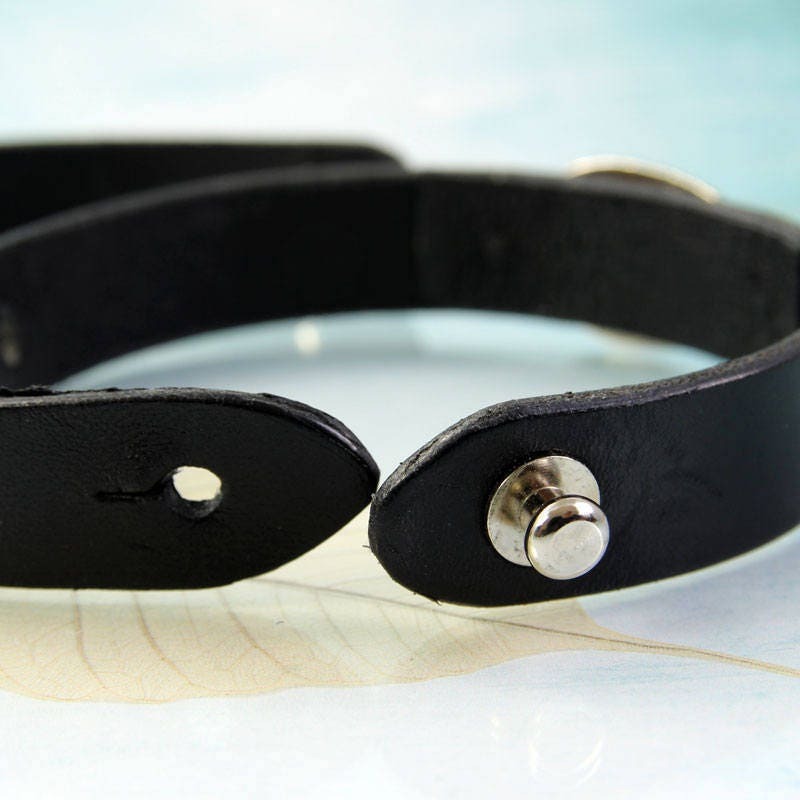 It screws in securely and fastens through an eyelet cut in the leather. It will be tight to close at first but will soften with use. The options in the drop down menu refers to your wrist size. Measure your wrist with a soft measuring tape or a piece of string that isn't stretchy. This is the length you want to choose in the menu. To this I add 15 mm so that the leather is comfortable and not tight. This is the measure from the stud to the eyelet. If you prefer a looser fit, choose a bigger wrist size.